Selections from the Broadway Musical. Composed by Anthony Drewe, George Stiles, Richard M. Sherman, and Robert B. Sherman. Vocal Selections. Broadway, Musicals, Disney. Softcover. 154 pages. Published by Hal Leonard (HL.313303). 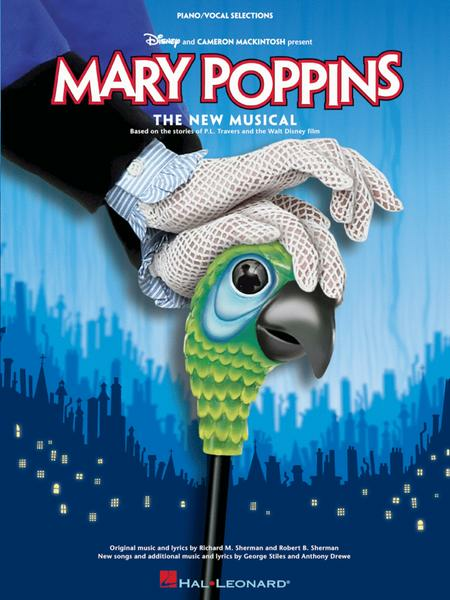 All the songs from the family-friendly stage musical from Disney and Cameron Mackintosh: Chim Chim Cher-ee • Feed the Birds • Let's Go Fly a Kite • The Perfect Nanny • A Spoonful of Sugar • Step in Time • Supercalifragilisticexpialidocious • and more. Includes a beautiful 8-page color section of photos from the Broadway production as well as an introduction from George Stiles and Anthony Drewe! 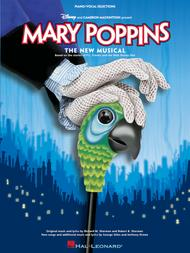 I wanted a simpler version of the songs from Mary Poppins so they could be sung by a group casually. I got more of the musical version which is not what I need.
. While music looks fairly simple at first sight. There are frequent changes in key and playing it requires some reasonable ability to jump an octave or more at times with both hand. This is definitely not a beginners book nor is it extremely advanced. I would judge that someone with a couple years experience could study these songs and eventually master them. My daughter loves the movie and was so excipted to get the sheet music. She is a beginner so it is hard for her but she's working on it.